James was previously on staff at Denton Bible as the Missions Pastor. 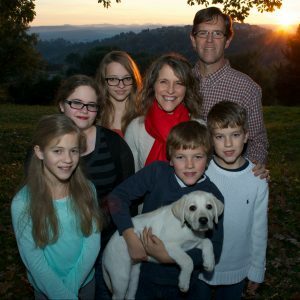 He now serves as the field director for Western Europe, shepherding the SERVE team in Nice, France, and coordinating the many short-term trips from Denton Bible that travels to southern France each year. James is the pastor of two churches in St. Paul and Nice. He also teaches Bible Training Center for Pastors (BTCP) and Centers of Church Based Training (CCBT) curriculum. The Arnolds use their home as a hospitality ministry to fellowship with local people and also host traveling visitors. James travels various times a year to French-speaking Africa and the Middle East teaching BTCP and encouraging local ministry. To support the Arnold family with an electronic gift, visit dentonbible.onlinegiving.org. Include “9634” on the memo line.